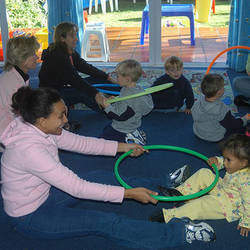 time Please visit our website http://www.momsandtots.co.za to locate the branch closest to you for available times. 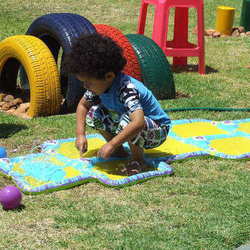 cost Please visit our website http://www.momsandtots.co.za to contact the branch closest to you for more information. Play is the Key to Learning for a Toddler! Moms and Tots Workshops have been running successfully around the country since 1993. The programme is specifically developed for toddlers in the 1-3½ year age group. Moms come with their tots 1x per week for 2 hours of fun and learning. Classes are in the mornings or afternoons (even Saturdays in some areas too). 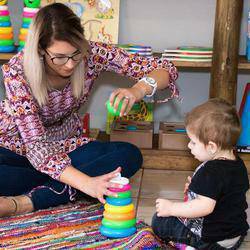 •Tiny Tots (1 to 1½ Years) taking into account their shorter attention span, with special emphasis on gross motor co-ordination. Hands-on activities and "action play" are therefore of shorter duration. •Tots (1½ to 3½ Years) designed to cater for the tots expanding concentration span, offering more structure to learn and develop through play, to enhance development in all areas. Please visit our website http://www.momsandtots.co.za to find the branch closest to you.